With turkey day coming up quicker than you can blink. It can be sometimes difficult to decide what to make. Many of us amateur chefs like to leave our guest hungry for more and begging for the recipe. But we don’t always have a brand new dining trick up our sleeve. The Lifestyles of Long Beach team decided to put a call out to all of you amazing Long Beach cooks. We invite you to share one of your signature dishes with us. We will post the best of the best on Friday Morning with your name and any image you provide. We encourage recipes for all types of dining including vegetarian and vegan and for any situation such as on-the-go or including-the-kitchen sink. Whether you just moved into a new home or you have your entire family coming over at noon, what recipe are you flourishing this holiday? Please feel free to send us your entry via our facebook page: www.facebook.com/pages/Lifestyles-of-Long-Beach-Real-Estate/ or by email us at RTR@RicardoTheRealtor.com, and don’t forget to add a picture! Place the turkey on a wire rack in a large, shallow roasting pan. 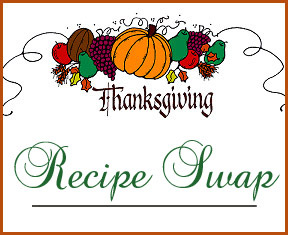 Check out the rest of the recipes and other great turkey tips at the Simple Bites blog. 1. Simmer the pomegranate juice and sugar until it has a syrupy consistency. 2. Meanwhile, using a food processor, coarsely chop the cranberries. 3.Pour them into a medium bowl and add the pomegranate syrup. It’s ok if it’s still warm. 4. Add the diced apple, pomegranate arils, orange zest salt and mint. Mix well. 5. Eat right away or chill for up to a week. Check out this and other great recipes from the Foodista Food Blog. 1. De-crust your bread. Slice into small cubes. Set aside. 2. Prepare your fluffy wild rice if you are using it. Set Aside. 3. In a medium soup pan, turn heat on med-high, and melt in the buttery spread. Add the celery, onion, parsley and poultry seasoning. Saute until tender. 4. Add in the pecans, dried fruit, tangerine juice, tangerine zest, salt, pepper and dried orange peel. Stir for a few minutes. 5. Fold in the butternut squash puree. Then add in your veggie broth. 6. Fold in your bread cubes. Try not to ‘mash’ the bread, but you also want it soaked through. If adding wild rice, fold it in now. You may need to add more or less bread cubes depending on the dryness of your bread. Too soggy? Add more cubes. Too dense? Add a bit more veggie broth. 7. Transfer stuffing into your “stuff it” selection and proceed as stated above. To see the entire recipe and other terrific vegan options, check out The Healthy Happy Life Blog. First, the pie dough recipe…. Now for the actual pie…. Roll out into a 12-inch round. Transfer the dough to a pie dish and carefully work it into the pie dish, folding any overhang under and crimping the edge as you go. Wrap and freeze the crust until firm, about 2 hours, or up to 3 months. Preheat the oven to 325 degrees F. Coarsely chop 3/4 cup of the pecans. Set aside. Spread the chocolate chips evenly along the bottom of the frozen pie shell. Slowly pour the filling on top of the chocolate chips. Arrange the remaining 1 1/4 cups pecan halves on top of the filling. Bake in the center of the oven for 30 minutes, then cover the edges of the crust loosely with aluminum foil and bake for another 30 minutes. [Note: I didn’t do this and it was fine, but check periodically to see if the edges are getting too brown.] Test the pie by sticking a knife in the center of the filling. If the knife comes out clean, the pie is done. If the knife comes out with clumps of filling sticking to it, bake for another 5 minutes and test again. Cool the pie on a wire rack and serve warm or at room temperature. [I served with a big dollop of whipped cream.] The pie can be stored in the refrigerator, tightly covered, for up to 2 days. This pie recipe is from The Amateur Gourmet website. Check out the other great recipes they have. Ricardo The Realtor (RTR) and his team are looking forward to receiving your recipe submissions! 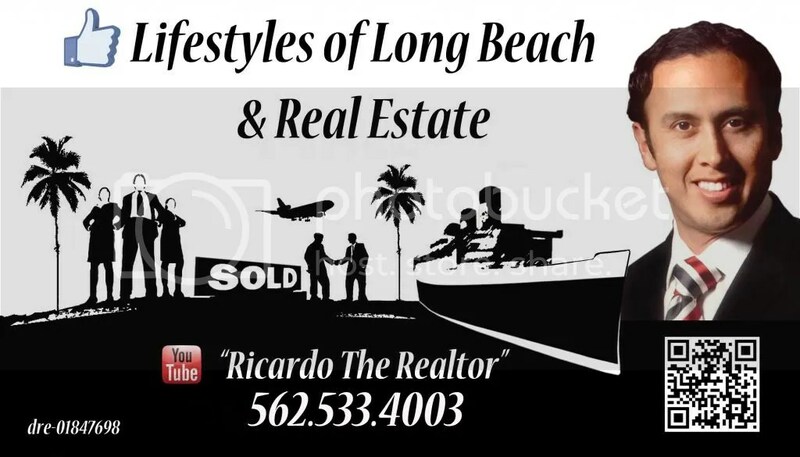 Please feel free to send us your entry via our facebook page: www.facebook.com/pages/Lifestyles-of-Long-Beach-Real-Estate/ or by email us at RTR@RicardoTheRealtor.com, and don’t forget to add a picture!